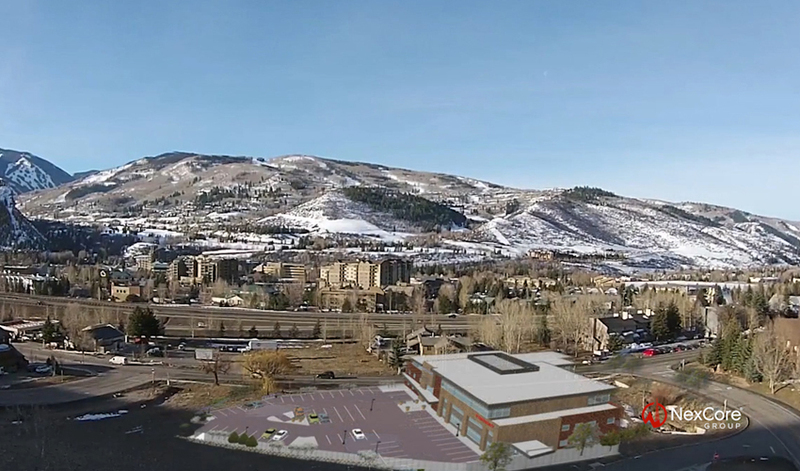 NexCore Group is developing the 48,500 SF Buck Creek Medical Plaza in Avon, the home of Beaver Creek ski resort and regarded by many as the commercial hub of the Vail Valley. Healthcare services in the Vail Valley have historically been provided in scattered locations, which primarily tend to be hospital-centric. 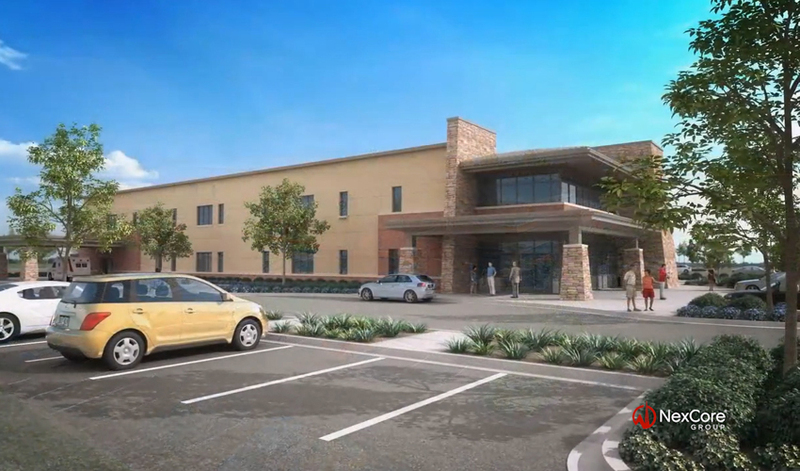 By providing affordable, convenient, high-quality care at an accessible location, the facility will improve healthcare delivery in Eagle County. The facility is scheduled for a July 2016 completion. 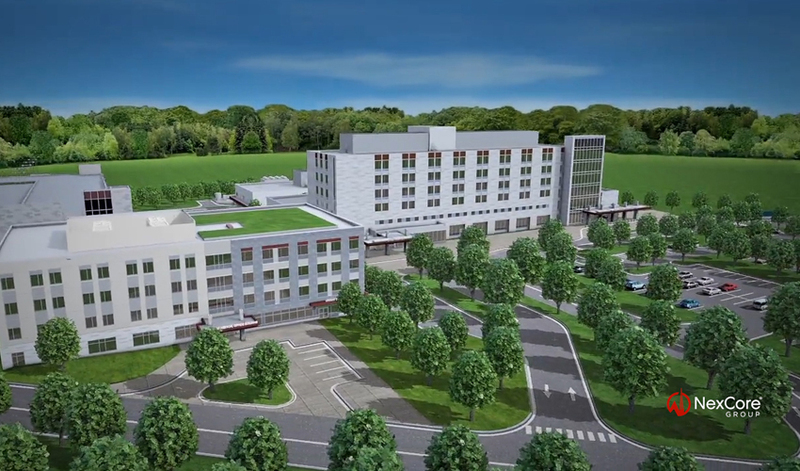 The new Holy Cross Germantown Hospital campus was built to respond to the need for health services in the fastest growing and aging region of Montgomery County, MD. In July 2015, NexCore completed the development of an 80,000 SF medical office building (MOB) on the campus. The MOB is connected to the new 93-bed hospital and a 696-space parking garage on the ground floor by a climate controlled connector. The connector passes through a healing garden located between the MOB and connector. The MOB will play an integral role on the campus as home to a robust complement of physician and outpatient services. 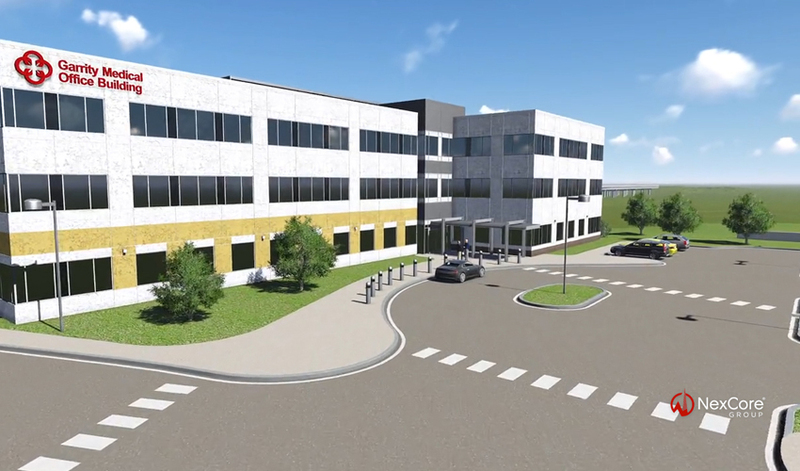 Saint Alphonsus Health System (SAHS) had chosen a site for its new Garrity Clinic located 700 feet to the south of the campus, which would require physicians and patients to cross a busy, multi-lane public road. NexCore demonstrated to SAHS that a different site and building design was not only financially feasible but also in the system’s best interest because the clinic would be prominently located adjacent to I-84 and only 250 feet west of the existing Health Plaza and Heart Care & Maternity Center. NexCore completed the facility in October 2014. 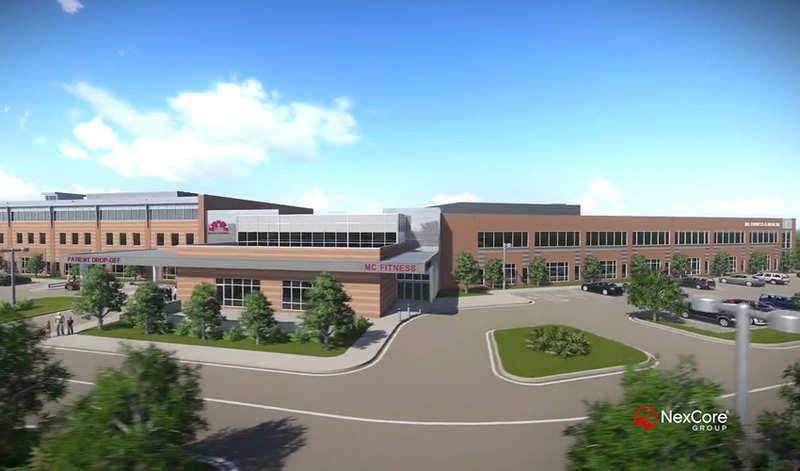 This 130,000 SF facility, named "Mount Carmel Lewis Center", will offer outpatient, medical fitness, wellness education, and rehabilitation services to the residents of Delaware County, the fastest growing market in Ohio. When completed in December 2015, Mount Carmel Lewis Center will be the only facility in Delaware County offering a complete continuum of outpatient care (prevention, diagnosis, and treatment) under one roof. The facility represents Mount Carmel Health System’s move toward a value-based, integrated model of care. NexCore played an integral role in selecting a strategic site for the facility. The 48,000 SF Medical Pavilion was the first facility constructed on St. Anthony North Hospital's 35-acre greenfield campus located in Westminster, CO, directly across from The Orchard Town Center, a one million SF, regional, open-air shopping center. The Medical Pavilion offers over 220,000 residents convenient access to a broad array of services, including a 24-hour emergency department, imaging center (including general radiology, CT, MRI, and ultrasound), women's breast imaging center, clinic, laboratory, and heliport (Flight for Life emergency air transport). NexCore completed the facility in June 2012 and broke ground on a second Medical Pavilion for St. Anthony North in April 2015.